With OverDrive, you can borrow and enjoy free eBooks, audiobooks, and more from the Flint Public Library. All you need to get started is an internet connection and a library card. Click here to watch the Niche academy tutorial on using Overdrive and Libby. 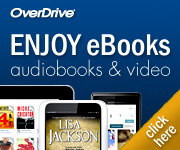 Click here for information on using Overdrive with your Nook. Click here for directions on using Overdrive with your Kindle. 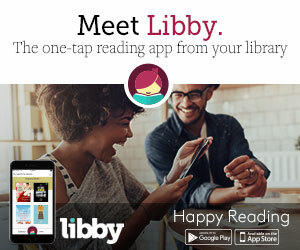 Libby is a new, user-friendly app made by Overdrive to make it easier for you to find and download the books and audiobooks you want from the library. You can use both Libby and Overdrive–you don’t have to pick one over the other. Libby is primarily available as an app, (although it should work on computers running Windows 10) so if you primarily use your desktop or laptop computer to access Overdrive, Libby may not be the choice for you. Otherwise, click here or on the photo for more information, including a link to download the Libby app for free. Feel free to ask us about Libby at the library, too! Freading is an eBook loaning library for patrons with a Flint library card. You will also need to enter a PIN, which is the last four digits of the phone number that you have on file at the library. The eBooks are always available for download and are never “checked out.” Holds are not necessary. However, the download is a loan and access to the book is limited to two weeks.